A Manual for Success with New Precious Metal Clays. Original Text by Tim McCreight. 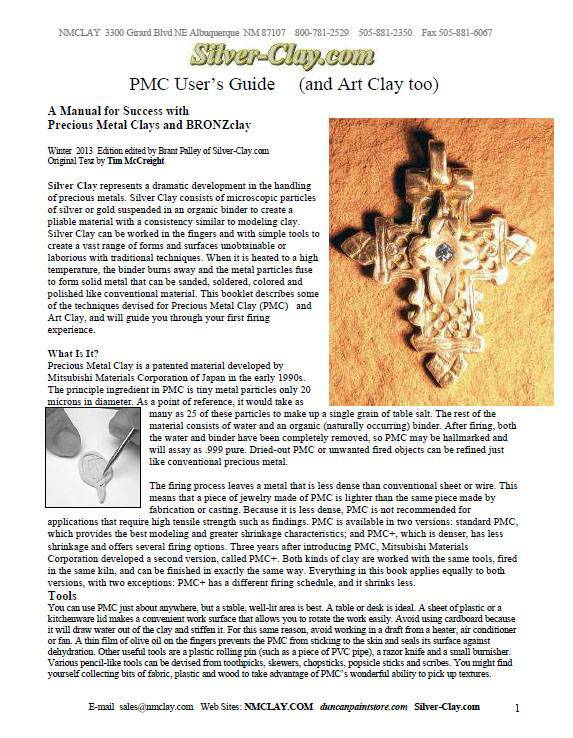 Download the PDF version of the PMC guide click here! An inexpensive way to learn about silver clay.